We didn’t manage to submit our paperwork for the shipment of the sea kayaks in time so we missed the cut-off date for Cap George. 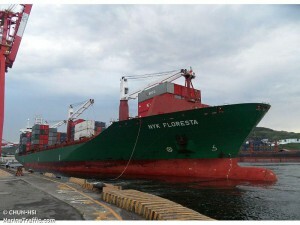 We’re now booked on to NYK Floresta who’ll be leaving 3rd July and arriving 18th July. There’s still a chance that the sea kayaks will arrive and clear customs by the time we leave Lima to start the whitewater section but we’re cutting it fine!